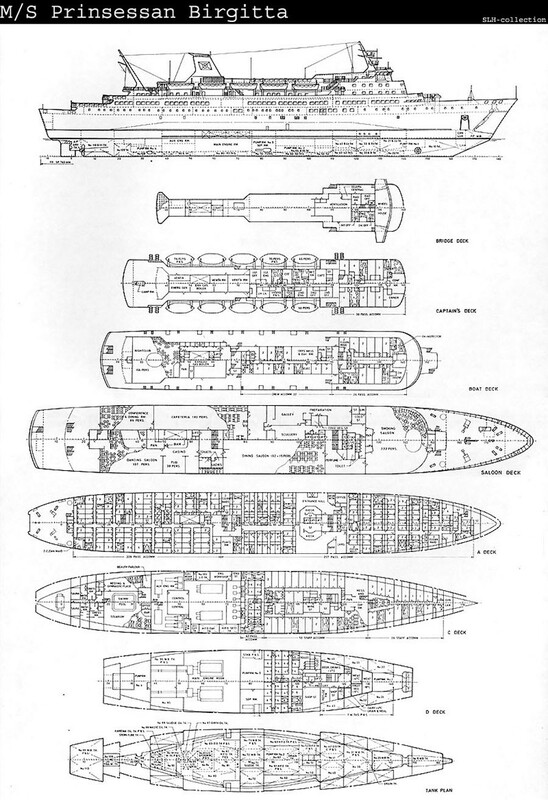 May 10th 1974: Delivered to companies which part-owned the vessel. Rederi Ab Ragne, Västervik (43,5%) / Rederi Ab Göteborg – Frederikshavn Linjen (43,5%) , Göteborg, Barkman & Co,(12%), Rederi Ab Ostenia (1%). Rederi Ab Ragne main contributor. 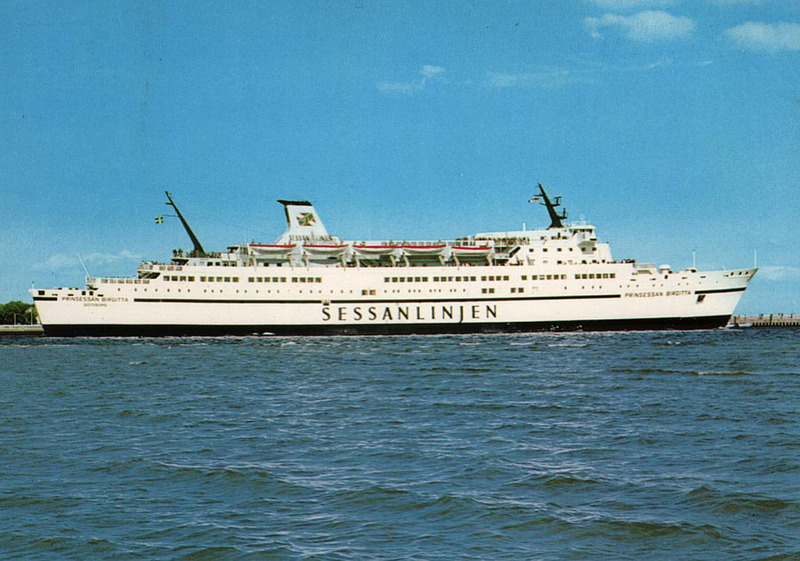 May 16th 1974: Commenced service with Sessan Linjen between Göteborg – Travemünde. 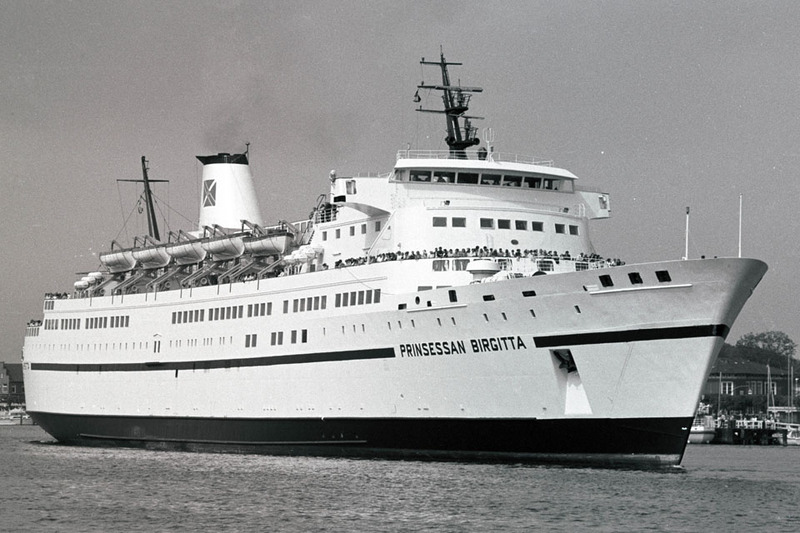 May 25th 1977: Sold to Rederi Ab Göteborg-Frederikshavn Linjen, Göteborg. 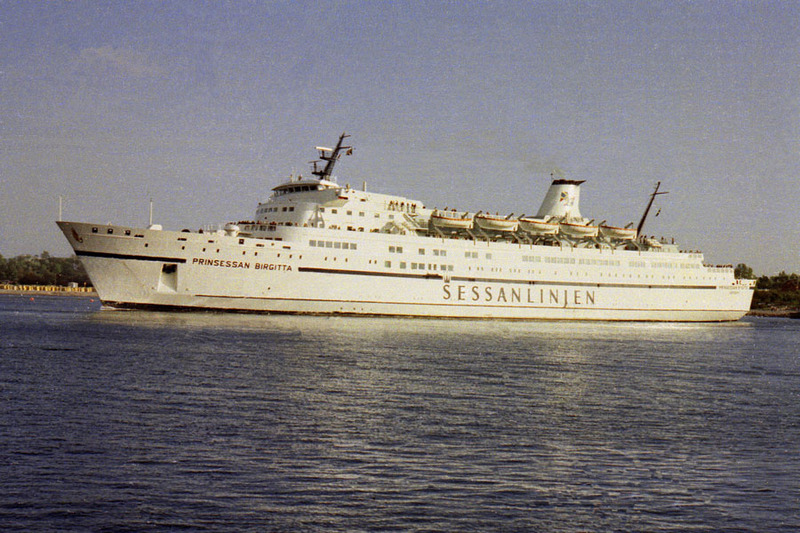 (Sessan Linjen),at the same time commencing services between Göteborg – Frederikshavn. 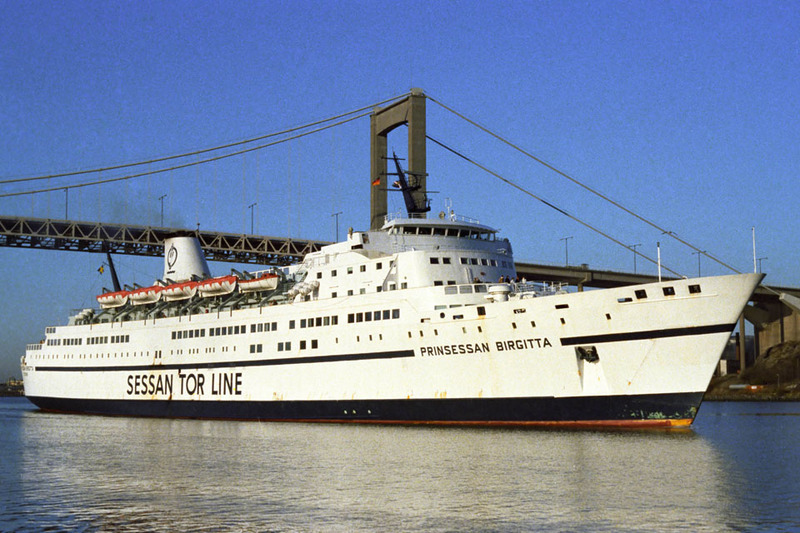 January 1st 1980: Partnership formed under the name of Sessan Tor Line, Göteborg between the two companies of Tor Line and Rederi Ab Göteborg-Frederikshavn Linjen Ab, Göteborg. 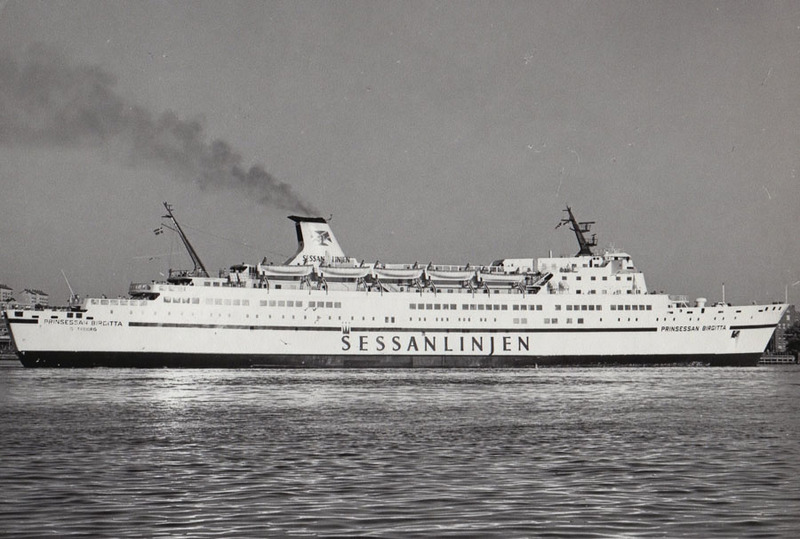 February 1981: There was a split in Sessan Tor Line as Rederi Ab Göteborg-Frederikshavn Linjen Ab, Göteborg sold their majority share to Stena Ab, Göteborg. 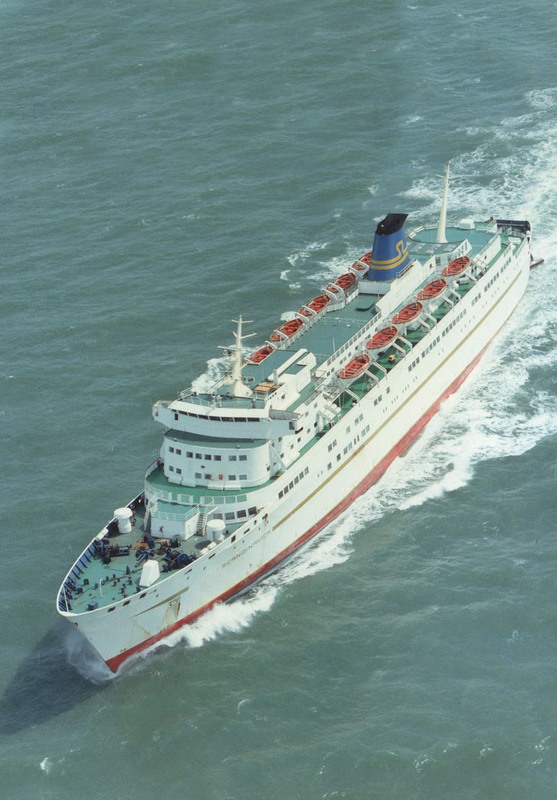 August 31st 1981: Final day in service between Göteborg – Travemünde. 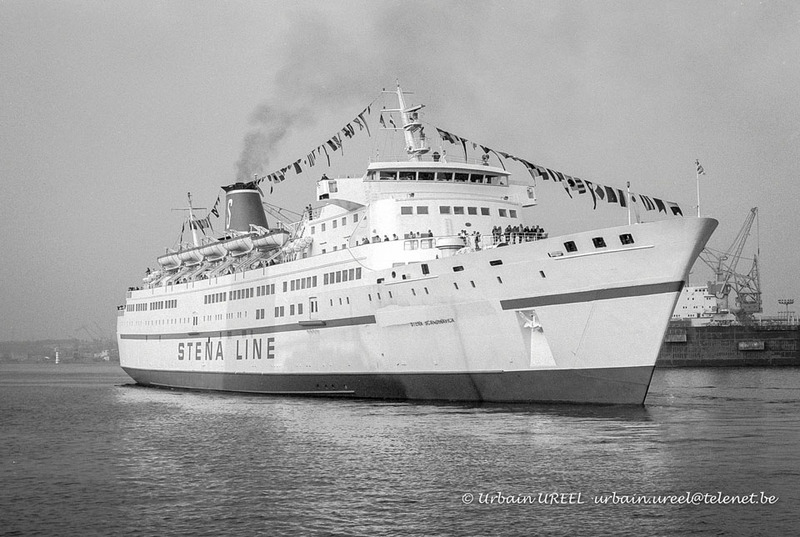 September 14th 1981: Entered service with Stena Lines between Göteborg – Kiel. 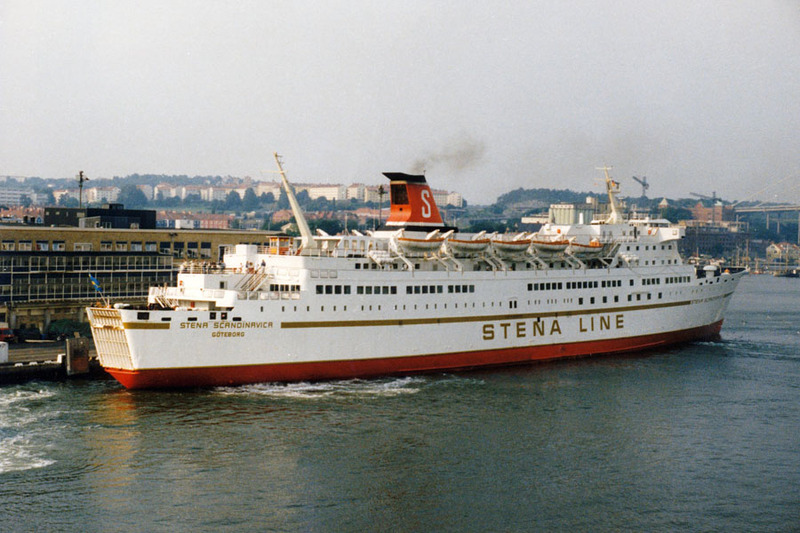 May 10th 1982: Renamed STENA SCANDINAVICA. 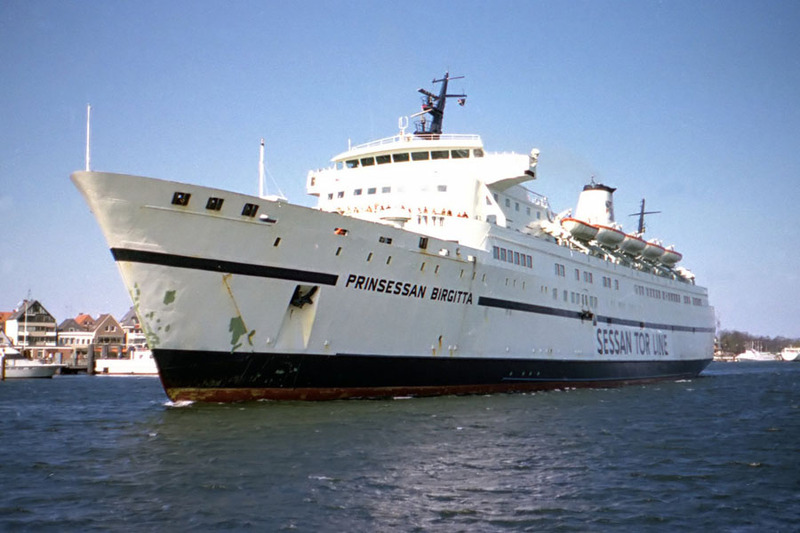 November 1982: Sold to Sessan Linjen Ab, Göteborg. 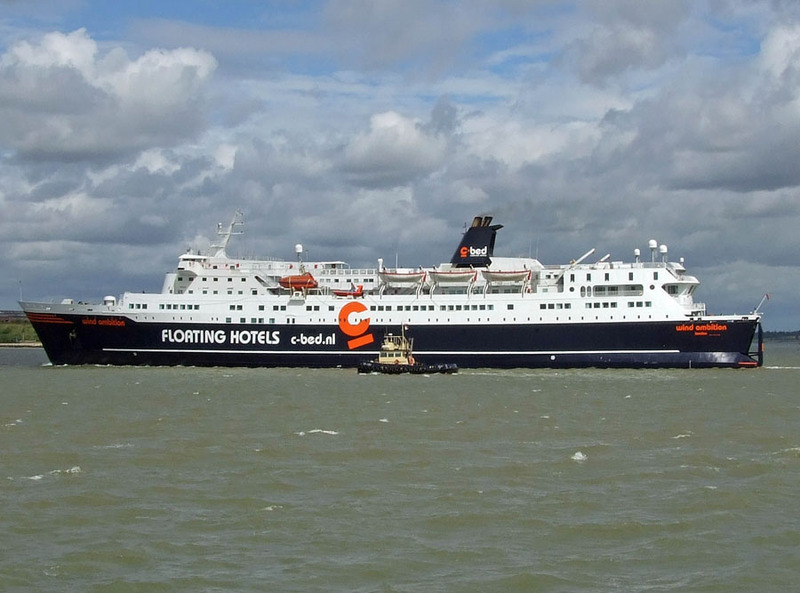 (Stena Ab). 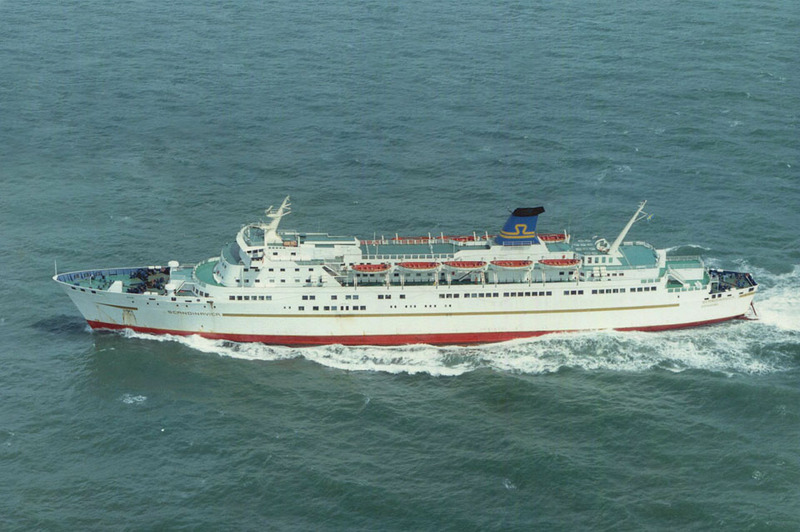 December 1984: Rebuilt with extra cabins. 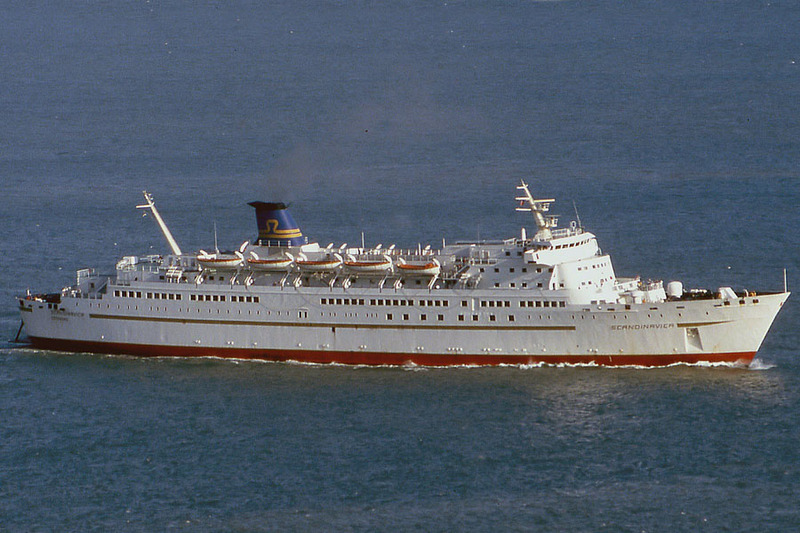 August 1985: Sold to GFL Holding Ab, Göteborg. (Stena Ab). 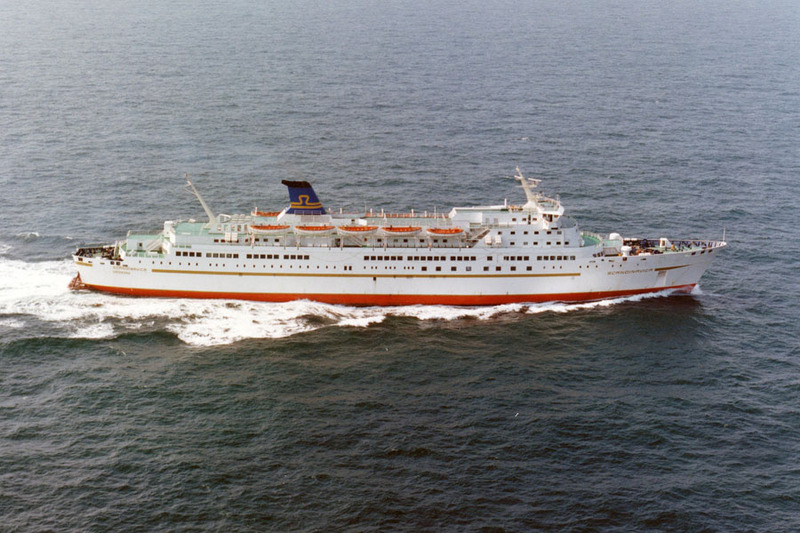 1986: Transferred to Rederi Ab Göteborgs-Frederikshavns Linjen, Göteborg. (Stena Ab). 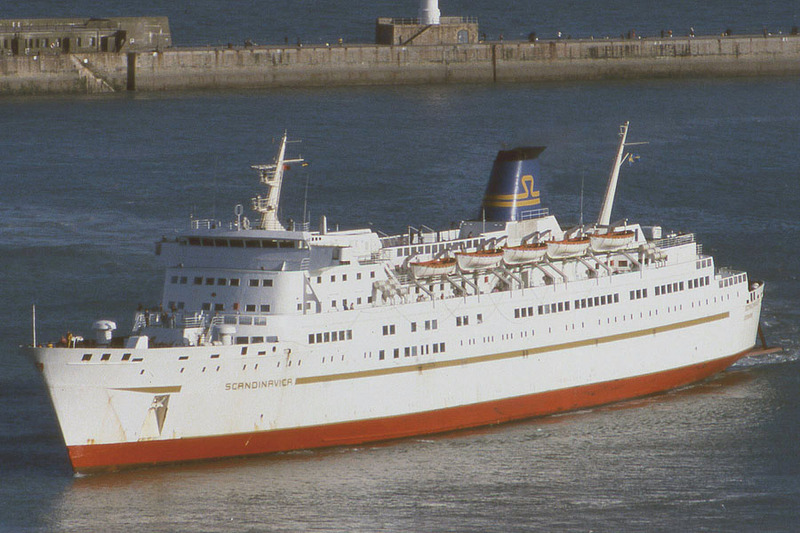 August 1986: Sold to Stena Ab, Göteborg. 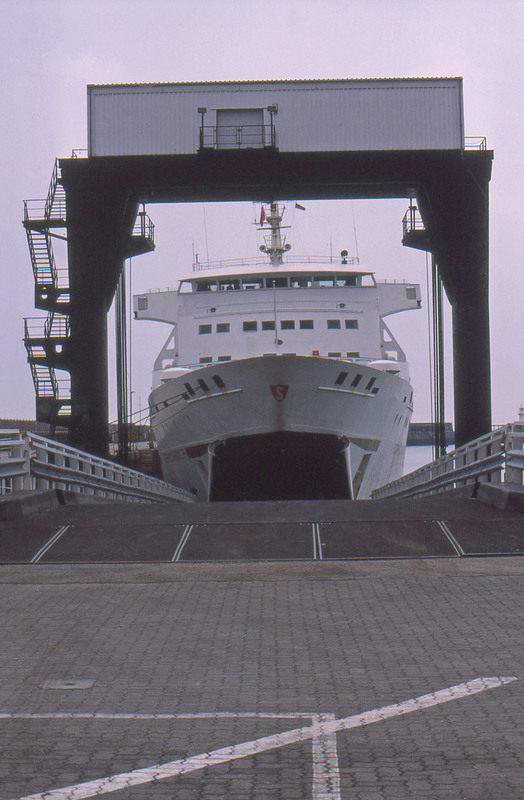 April 5th 1987: Final day in service between Kiel – Göteborg. 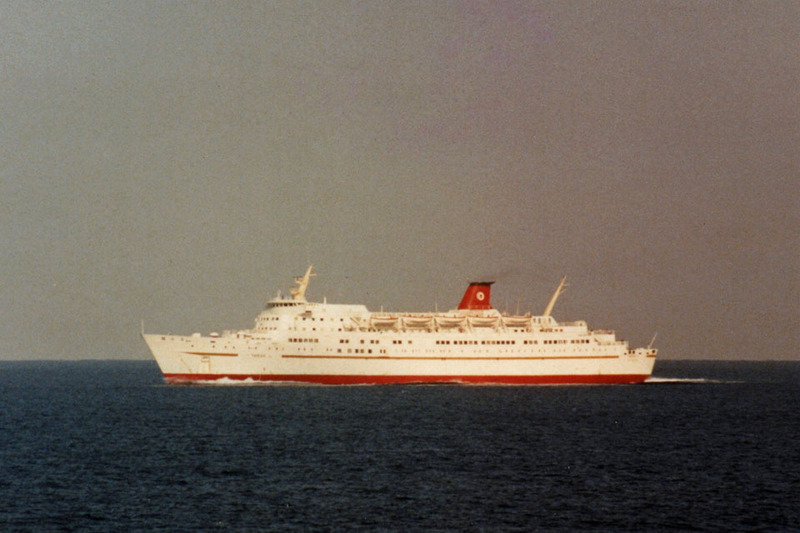 April 1987: Commenced service between Göteborg – Frederikshavn. 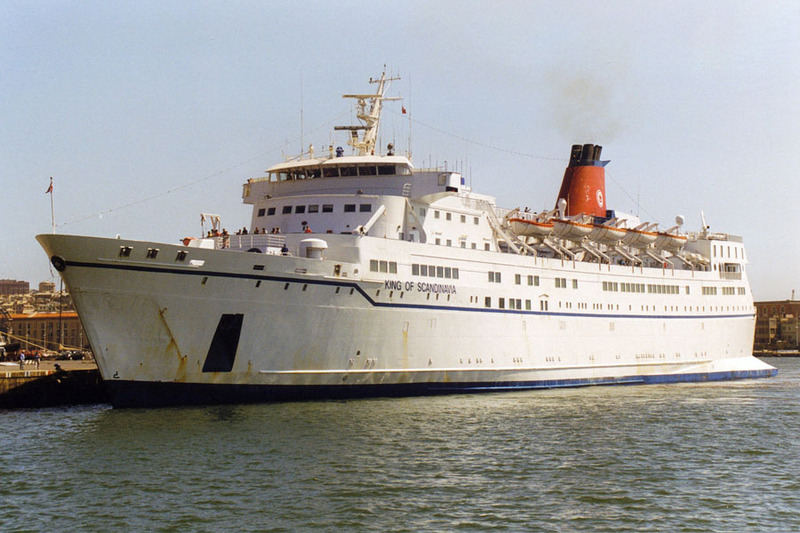 June 1987: Chartered to Compagnie Tunisienne de Navigation S.A.(Cotunav) Tunisia. Commenced service between Tunis – Genoa. 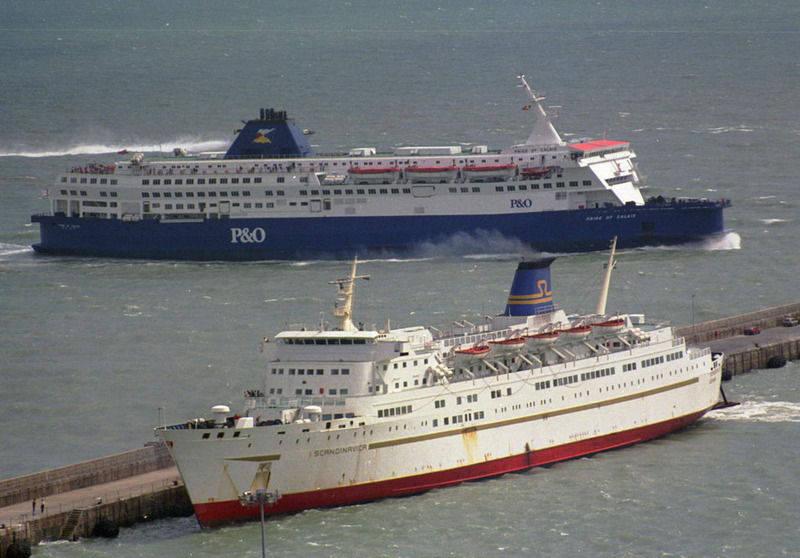 June 7th 1988 – September 16th 1988: Chartered to Sealink British Ferries, U.K (reportedly costing £20,000 per day). 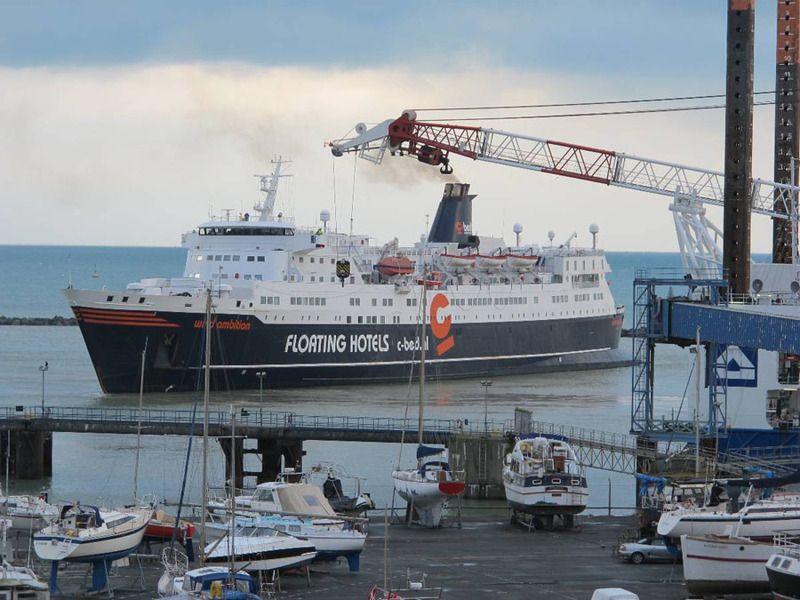 Commenced service between Dover – Calais, and as a night ferry between Dover – Zeebrugge. 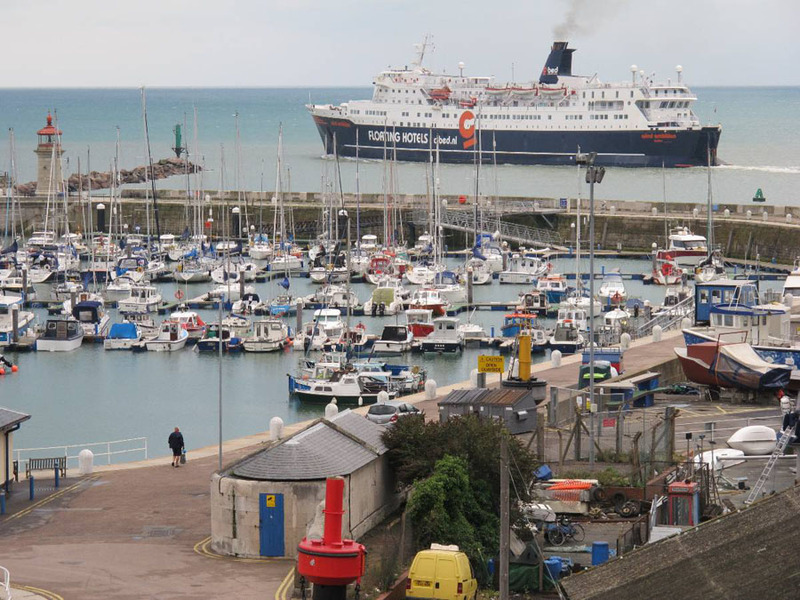 The overnight route later closed because of a drain on the finances, with reported losses in excess of £1 million. 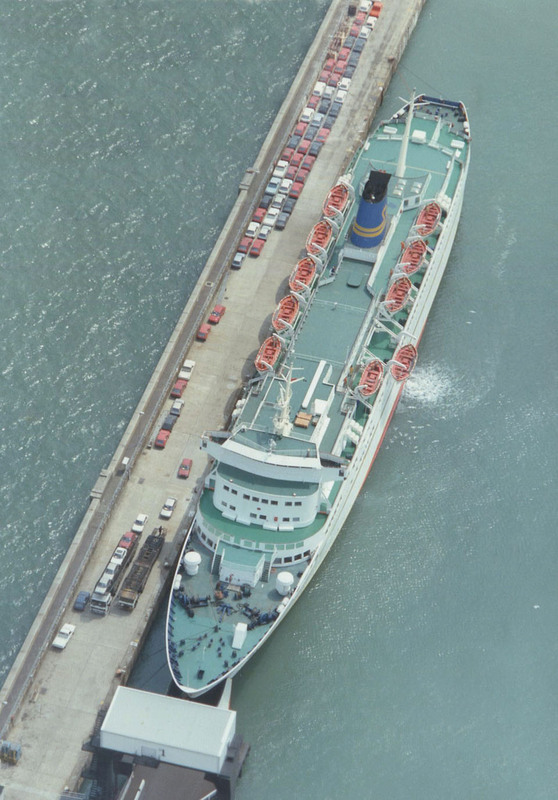 October 1988: Laid up in Dunkerque. 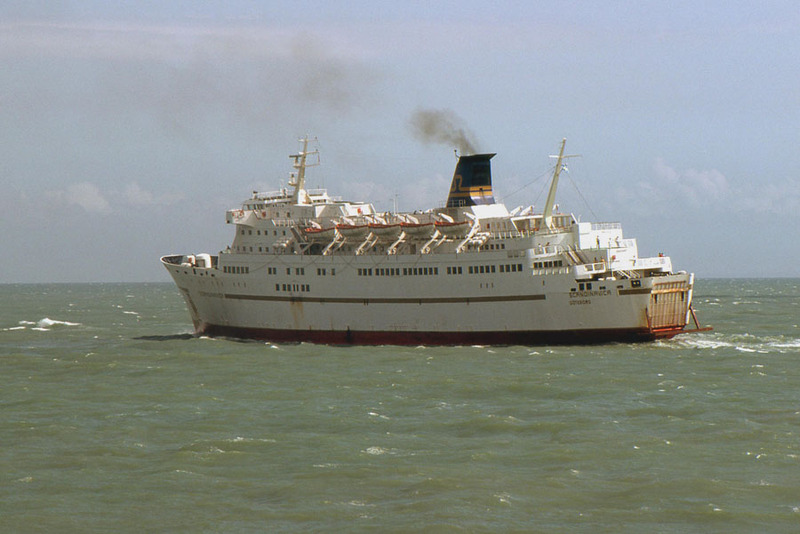 November 1988: Sold to Stena Shipping Line, Nassau, Bahamas. 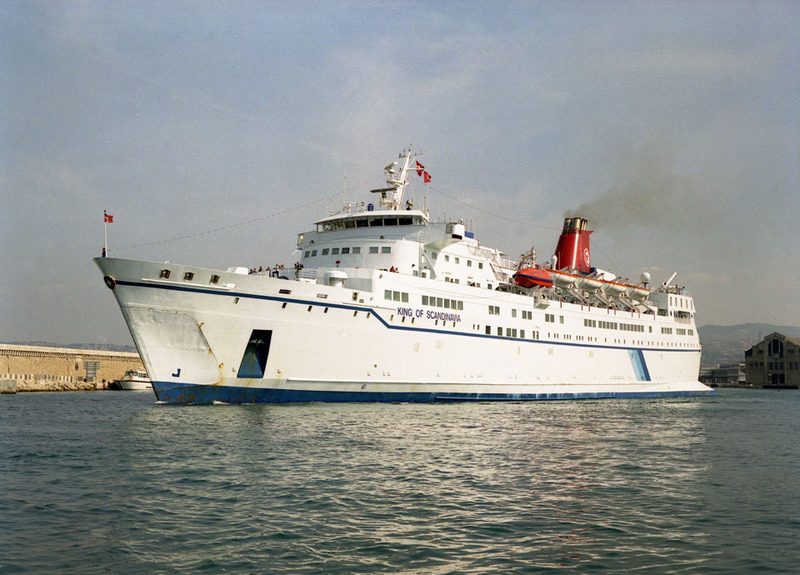 May 15th 1989: Chartered to Compagnie Tunisienne de Navigation S.A.(Cotunav) Tunisia. 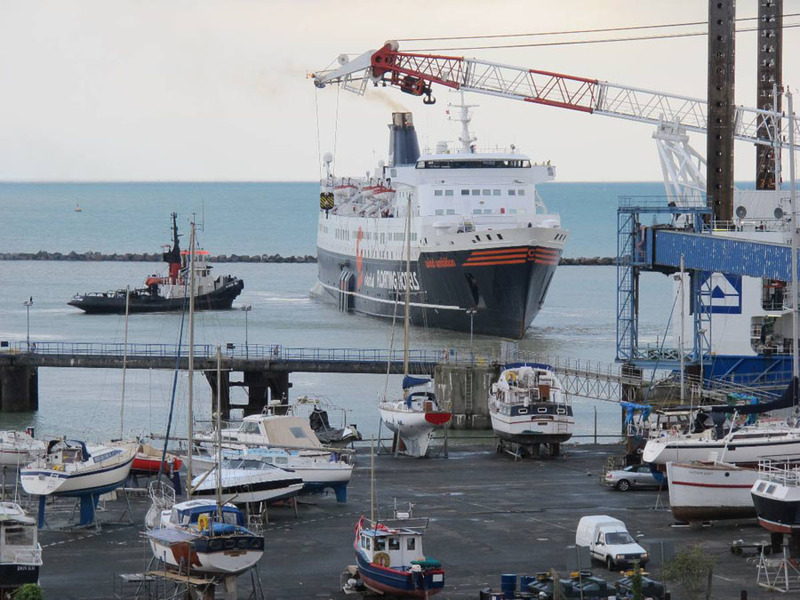 Renamed TARAK L and commenced service between Tunis – Genoa/ Marseille. 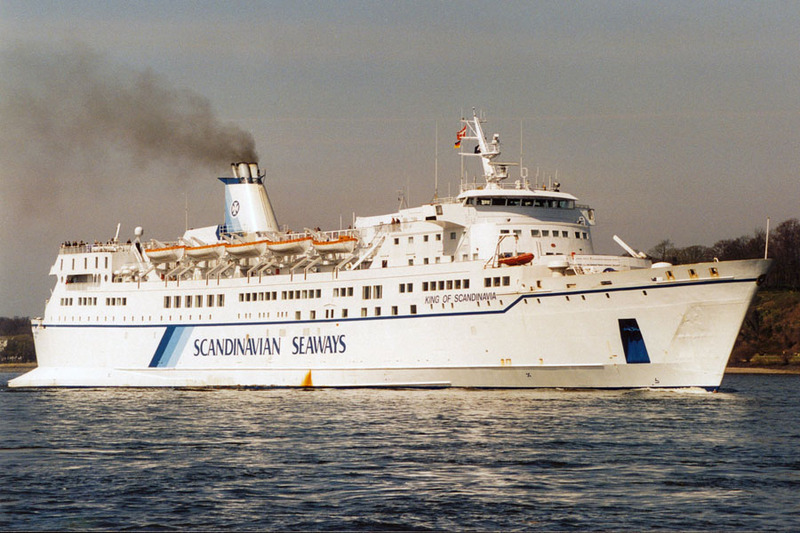 October 1989: Returned from charter and renamed SCANDINAVICA. 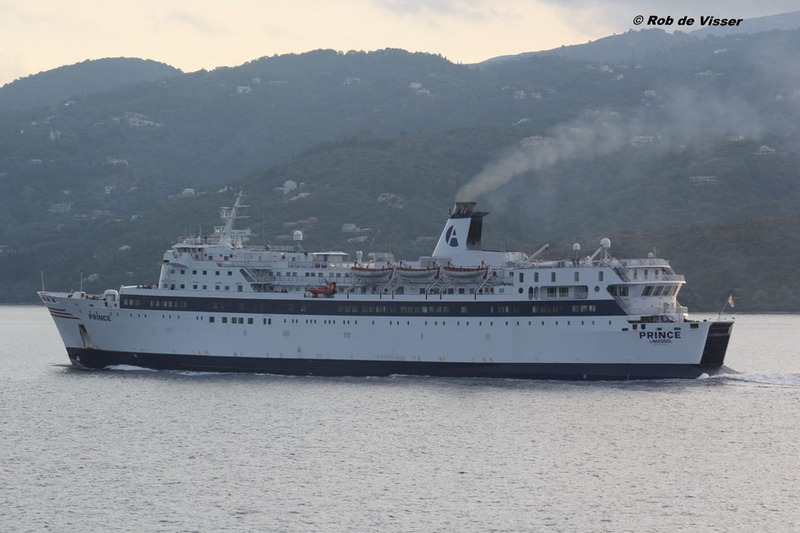 November 15th 1989: Sold to Scandinavica Ltd, Nassau, Bahamas. Arrive at Kristiansands Mek. Verksted, Kristiansand for rebuilding. 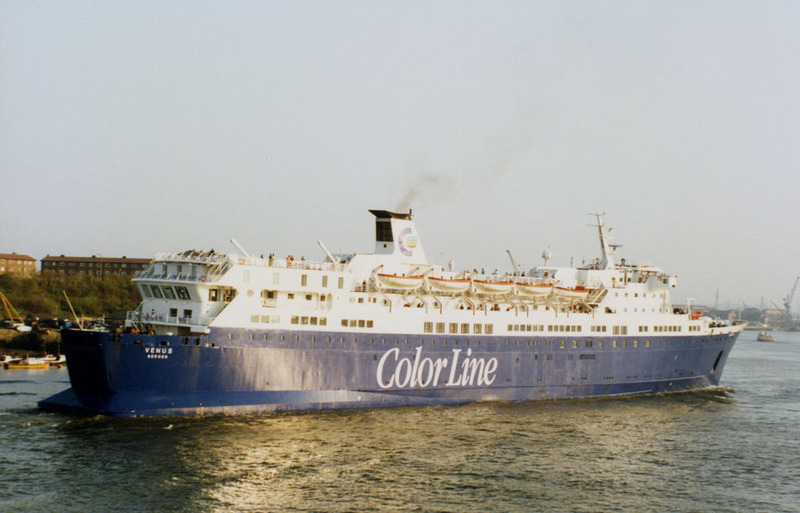 March 1990: Sold to Norway Line Invest K/S, Bergen, Norway and renamed VENUS. 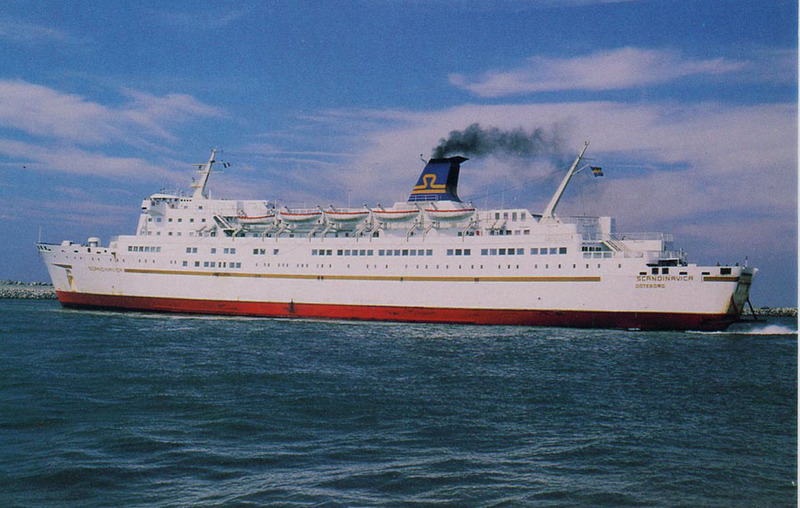 March 31st 1990: Commenced service between Bergen – Stavanger – Newcastle. October 14th 1990: Registered to Color Line A/S, Oslo, Norway. 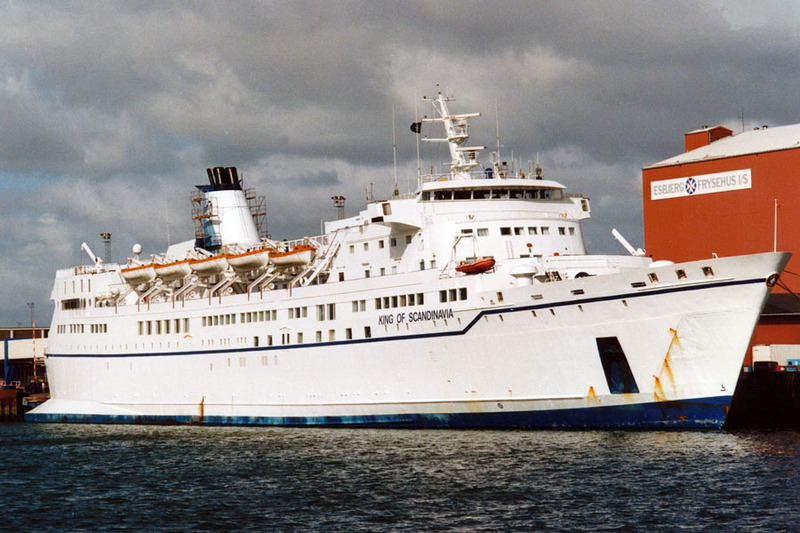 August 1994: Sold to DFDS AS, Copenhagen, Denmark. 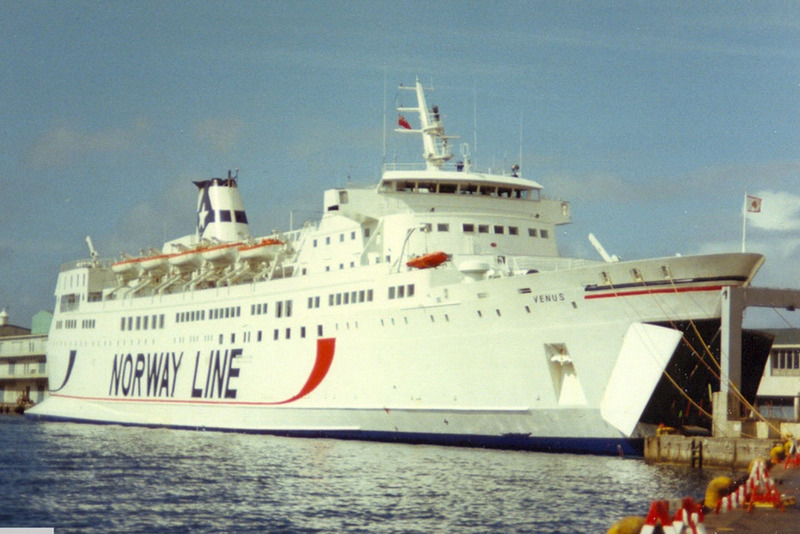 September 1st 1994: Final day operating between Newcastle – Bergen. 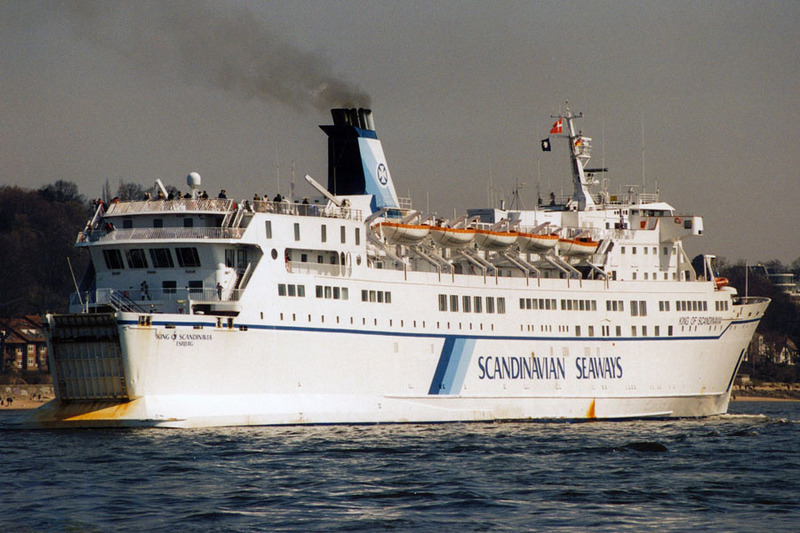 September 4th 1994: Transferred to DFDS A/S Esbjerg, and renamed KING OF SCANDINAVIA. 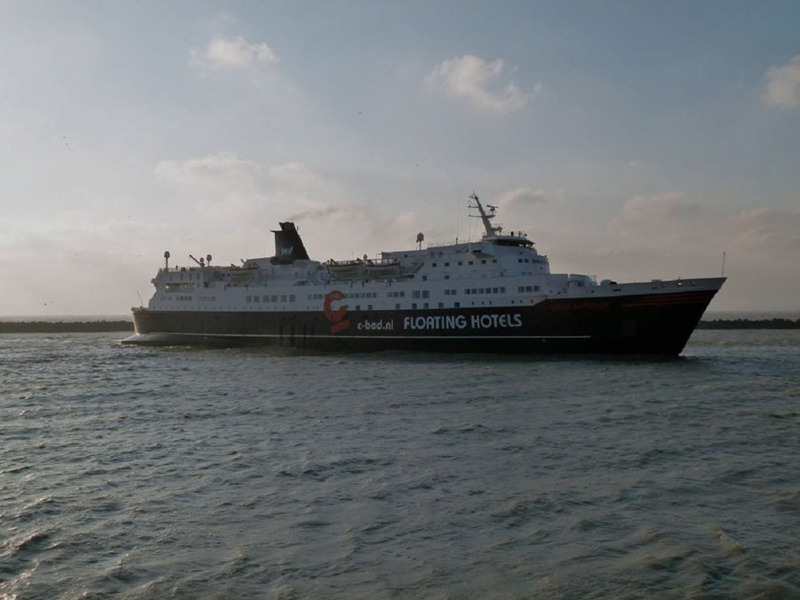 April 2nd 1995: Commenced service between Esbjerg – Harwich. 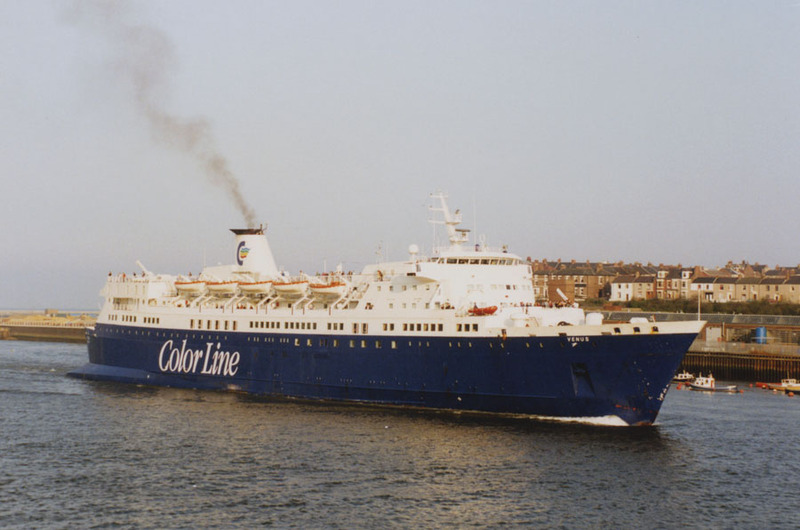 April 10th 1995: Commenced service between Esbjerg – Newcastle – Hamburg. 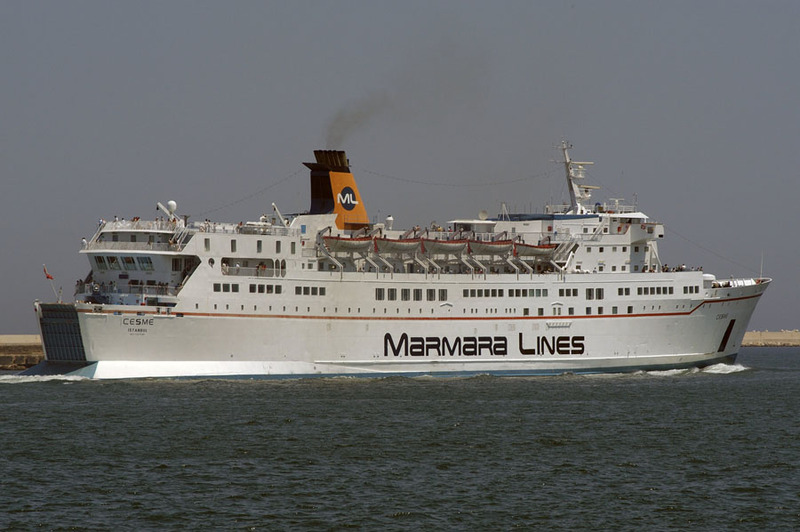 March 29th 1996: Commenced service between Ijmuiden – Newcastle – Hamburg. 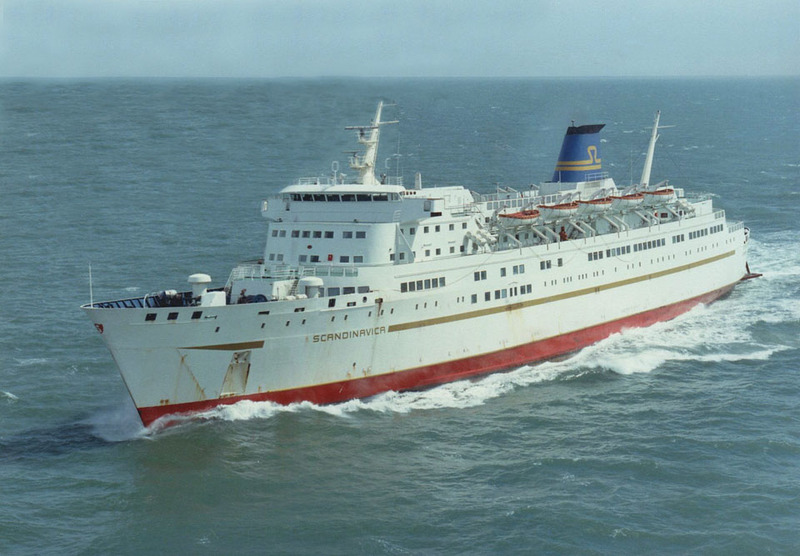 July 10th 1997 – September 10th 1997: Chartered to Compagnie Tunisienne de Navigation S.A.(Cotunav) Tunisia and operated between Tunis – Genoa/ Marseille. 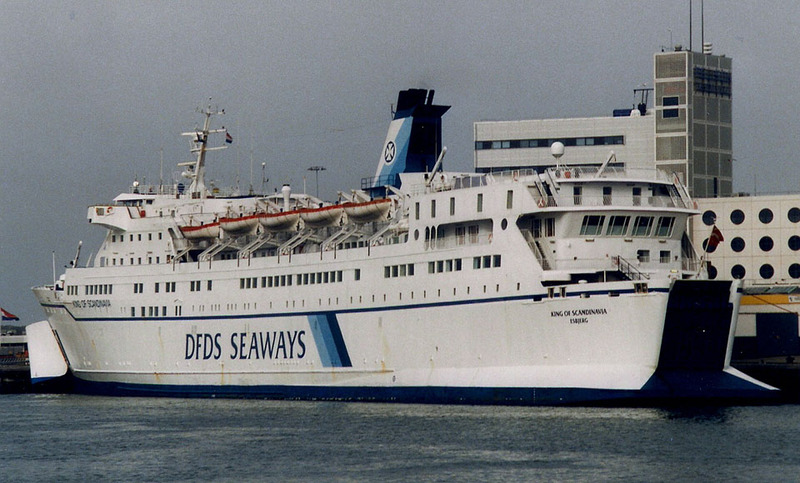 September 24th 1997 – September 28th 1997: Chartered to Ministry Of Defence, U.K.
November 1st 1997: Commenced service between IJmuiden – Newcastle. 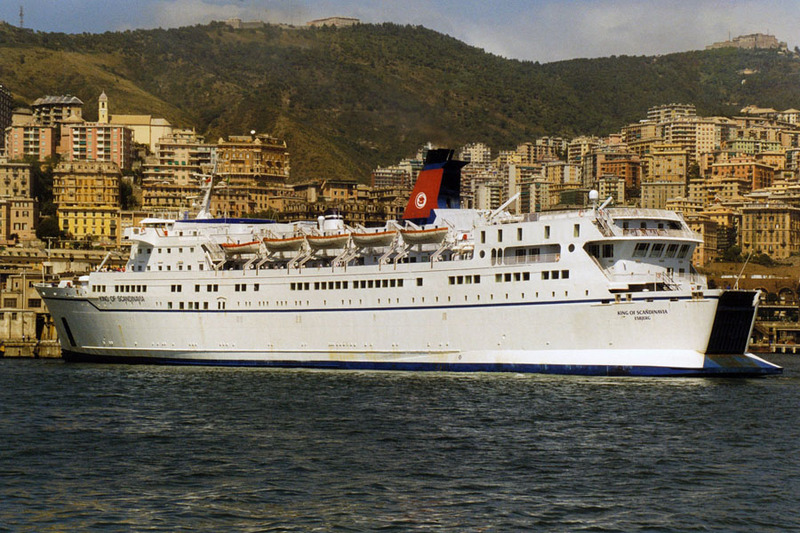 May 10th 1998 – September 9th 1998: Chartered to Compagnie Tunisienne de Navigation S.A.(Cotunav) Tunisia and operated between Tunis – Genoa/ Marseille. 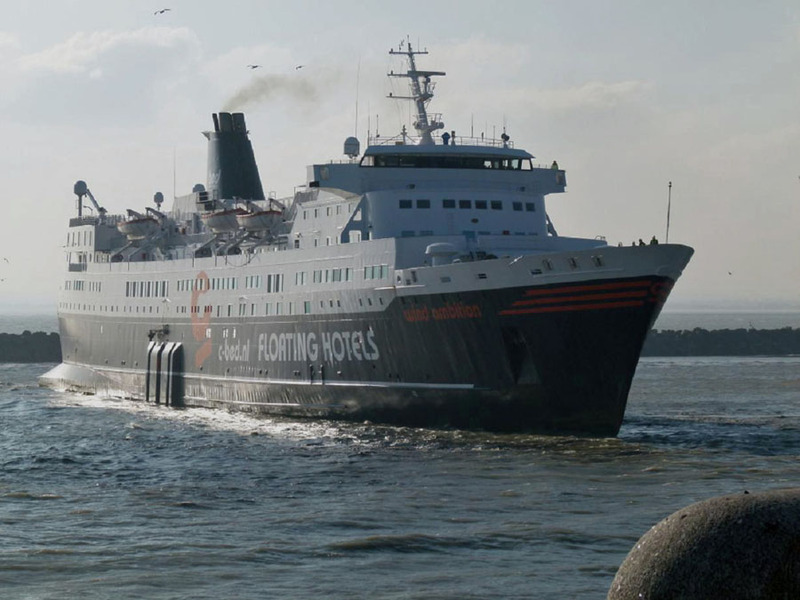 1999: Planned charter to Nordic Holland Line for services between Norway and Holland did not materialise. 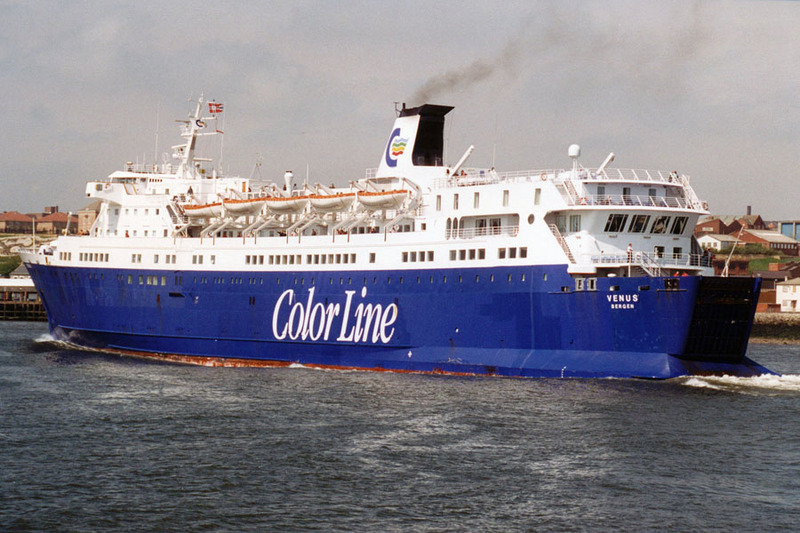 April 22nd 1999: Commenced service between IJmuiden – Newcastle. 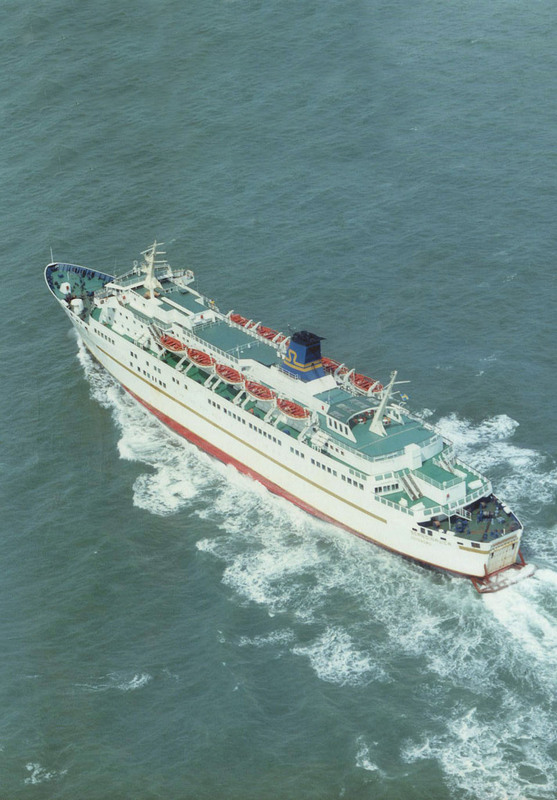 June 23rd 2001: Final day operating between IJmuiden – Newcastle. 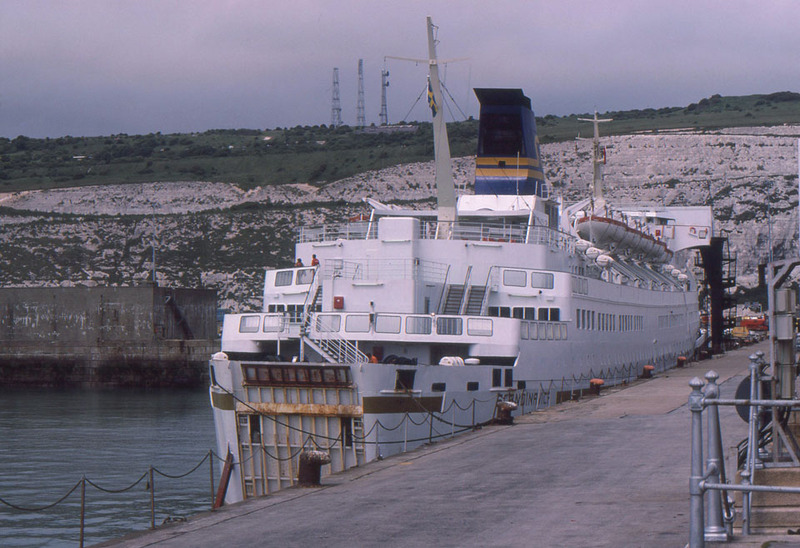 July 1st 2001 – October 2001: Chartered to Cotunav, for services between Tunis – Genoa/ Marseille. 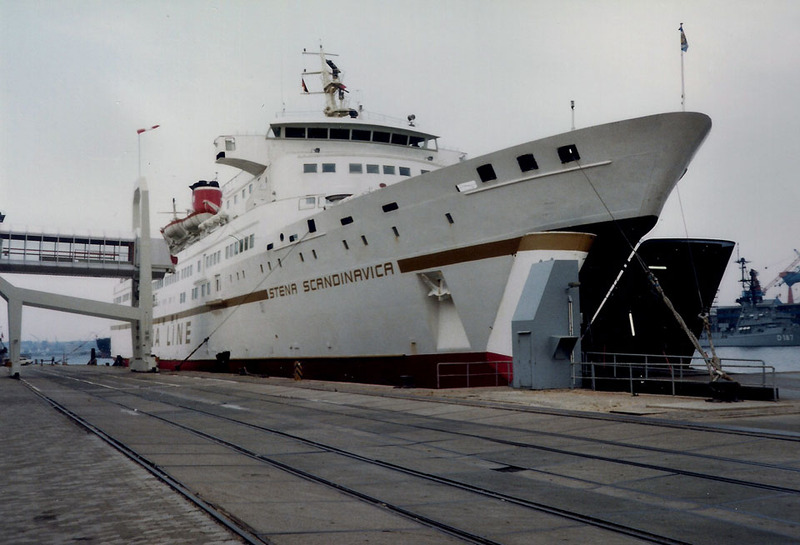 October 5th 2001 – November 29th 2001: Chartered to Bornholmstrafikken, Rönne, Denmark for services between Copenhagen – Rönne. November 29th 2001: Laid up in Copenhagen. 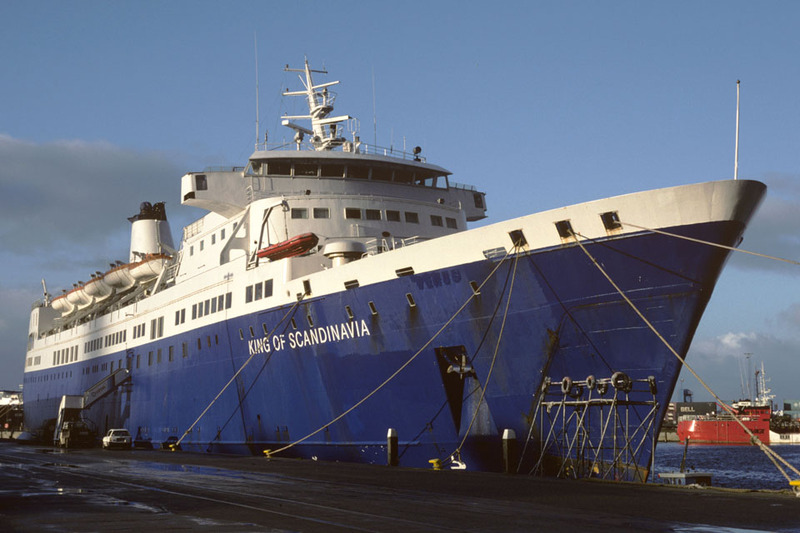 February 22nd 2002: Chartered to NATO, left Copenhagen for Kalundborg for use in transporting military personnel and equipment between Kalundborg – Szczecin (Poland), then moored in Szczecin as a floating barracks. 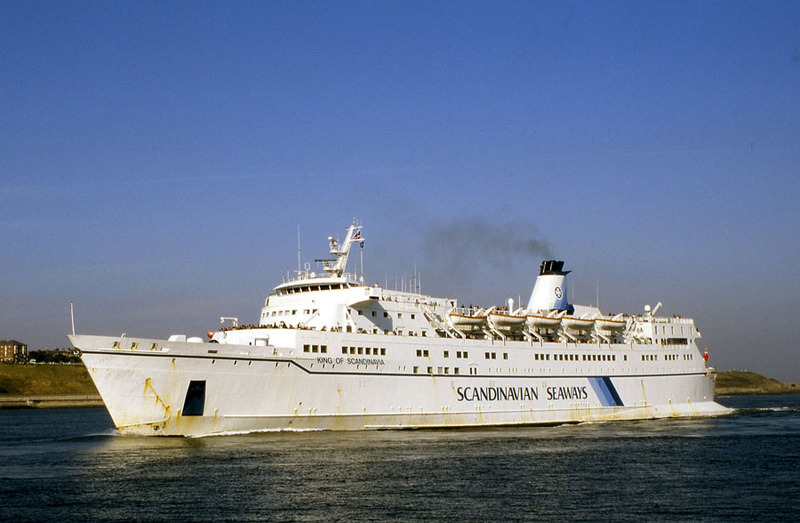 March 23rd 2002: Arrived at Kalundborg for her final time, carrying troops. March 27th 2002: Arrived in Copenhagen to await sale. 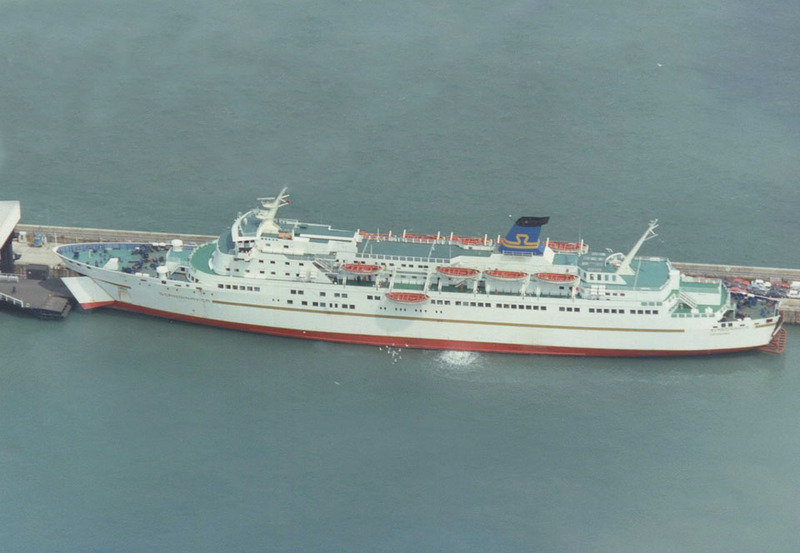 April 2002: Sold to Turkish Marmara Lines, Istanbul, Turkey (registered to Reca Marmara Nakliyat Denizcilik, Istanbul, Turkey). 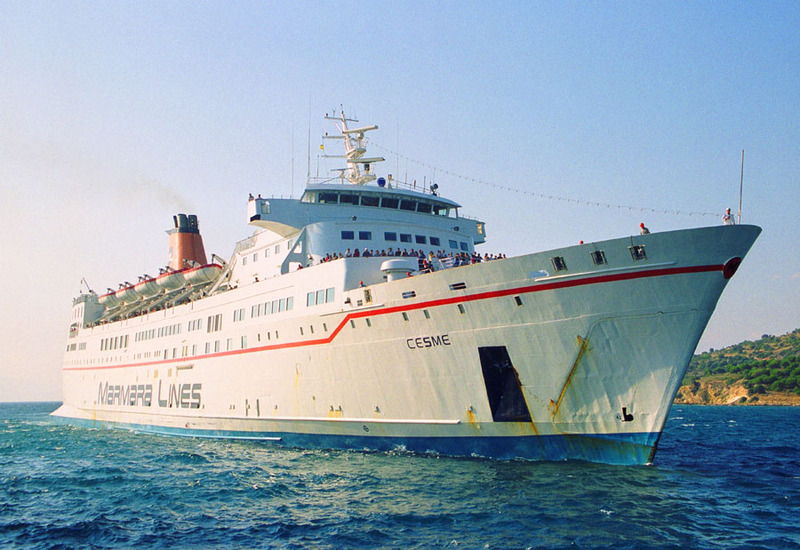 April 2002: Taken over by her new owners and renamed CESME. 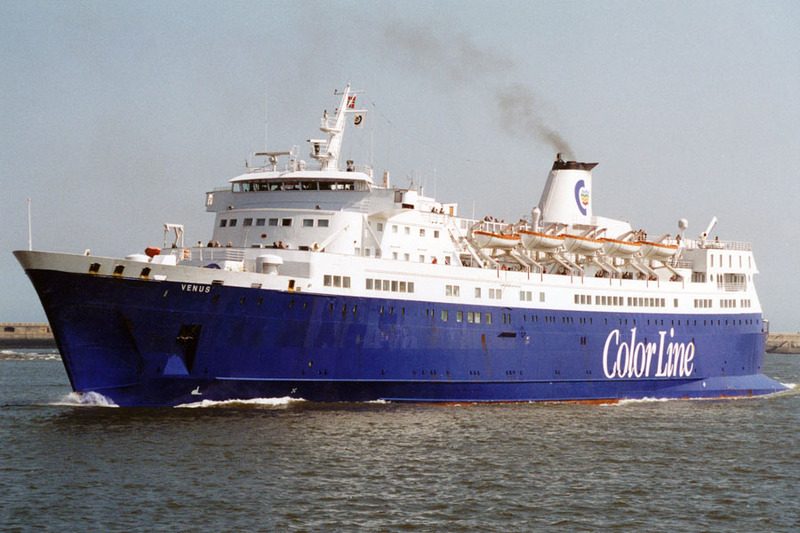 May 2nd 2002: Left Copenhagen for Cesme. 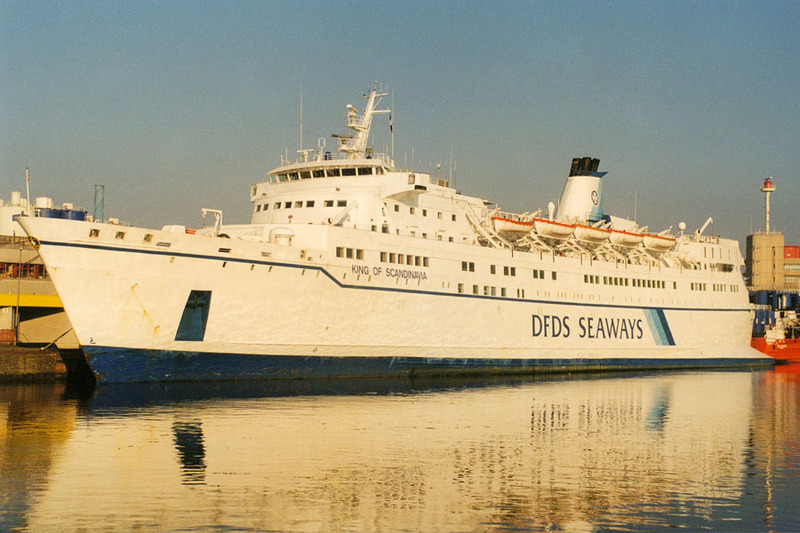 May 11th 2002: Commenced service between Cesme – Brindisi – Ancona. May 2010: Sold to C-bed, England. 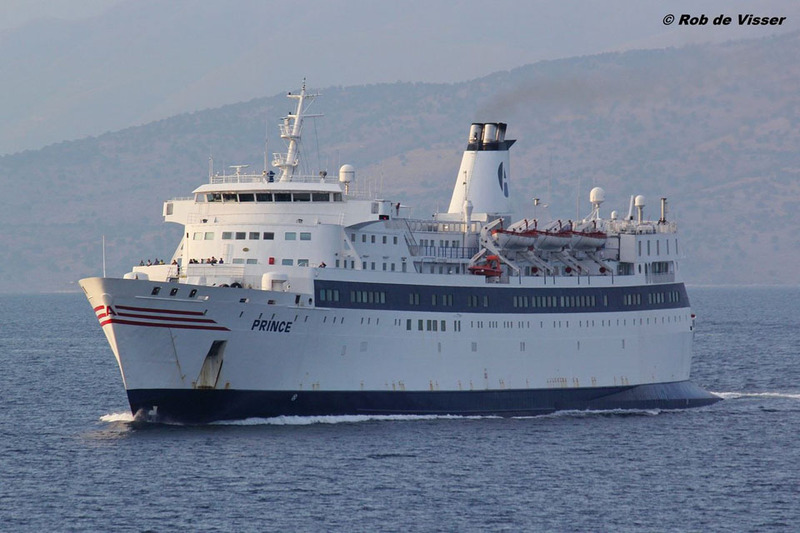 May 18th 2010: Final service from Ancona to Cesme. 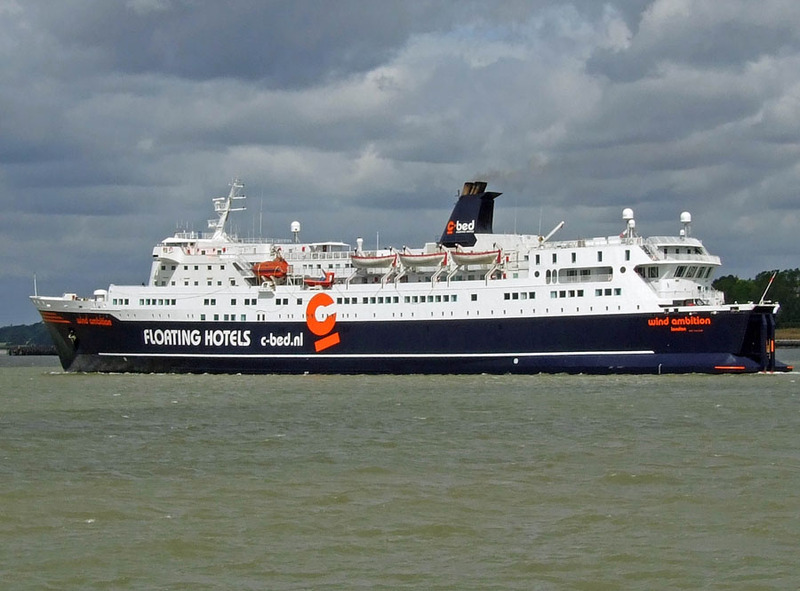 May 24th 2010: Renamed WIND AMBITION under English registry. 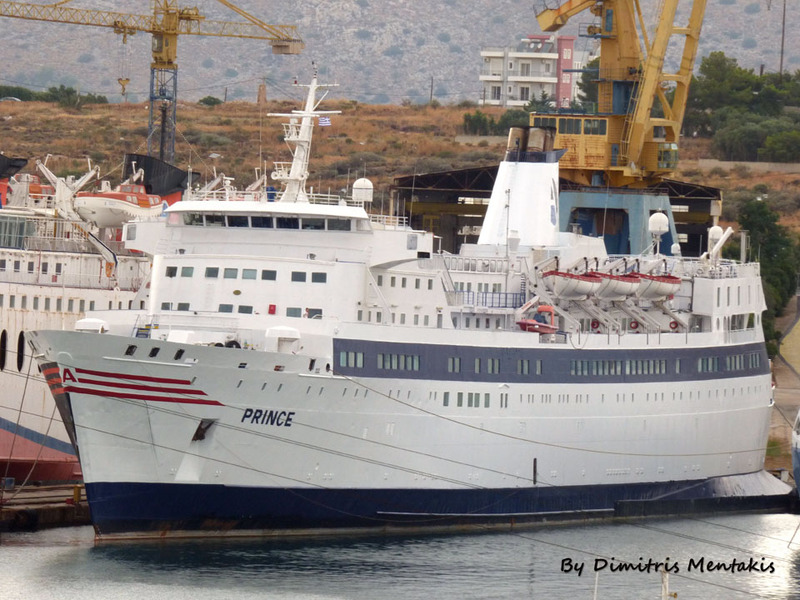 May 27th 2010: Left Cesme for Gibraltar. June 2010: Arrived Frederica for rebuilding. Facilities: Reception, restaurant, lounge with poker tables, games room, fitness room, conference room, movie lounge, Cinema, TV lounge, 2 x charters office. 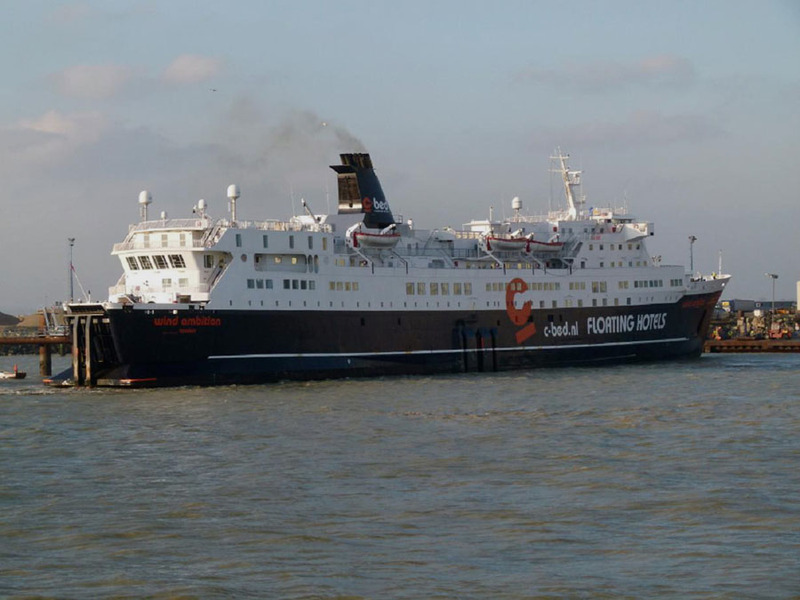 August 2010: Chartered by Siemens and appeared to be used as an accommodation vessel in the Sheringham Shoal offshore wind farm off the UK north Norfolk coast. 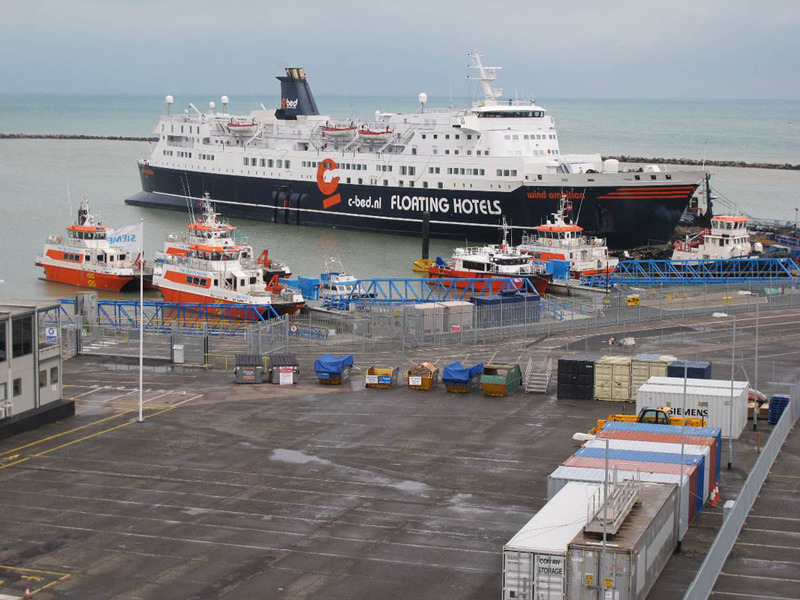 February 1st 2012: Due at Ramsgate for berthing trials. 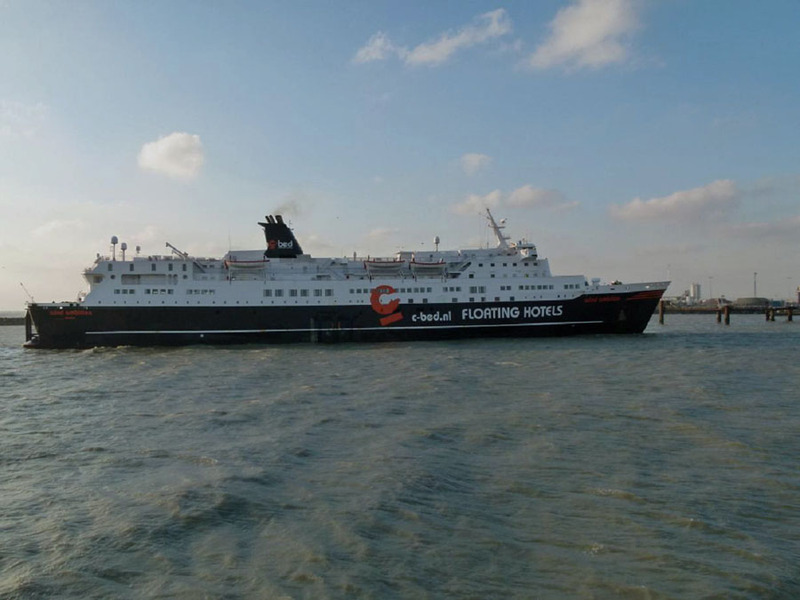 2012: Used as accommodation ship at the London Array wind farm. October 28th 2016: Known to be laid up in Esbjerg. December 18th 2017: Laid up in Odense. 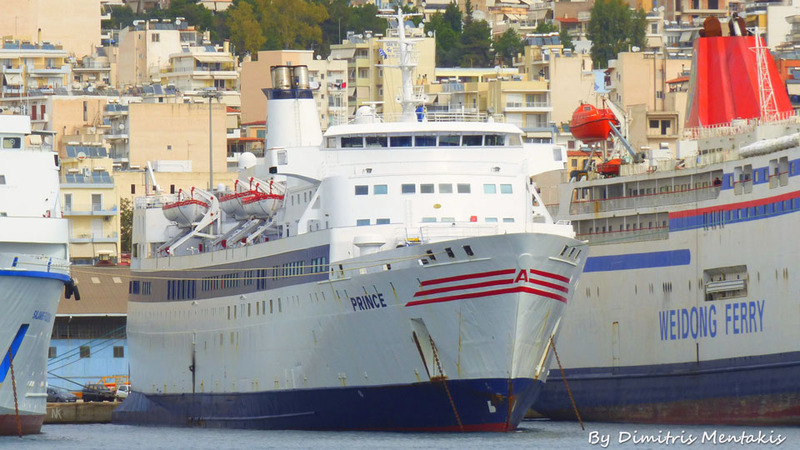 April 12th 2018: Sold to Ambition Maritime SA, Athens. Manager; A Ships Management SA. April 18th 2018: Left Odense for Salamina, Greece. Renamed PRINCE. April 30th 2018: Arrived in Drapetsona, Greece. June 18th 2018: Sailed from Paloukia to Perama. 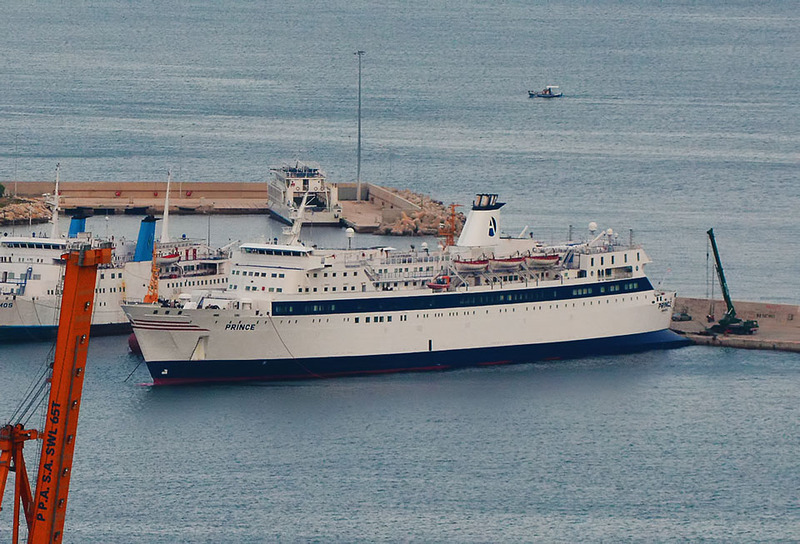 2018: Commenced services between Patras – Igoumenitsa – Brindisi. All information is believed to be correct and no responsibility is accepted for any errors or omissions. All items included in this article are subject to © copyright. We would like to take this opportunity of thanking: Malcolm Cranfield, Bernd Crause, Tony Garner, Frank Heine, Ted Ingham, Pieter Inpyn, Mike Jackson, Dirk Jankowsky, Ken Larwood, Frank Lose, Ken Lubi, Michael Marshall, Dimitris Mentakis, Dennis Mortimer, Jörg Seyler, Simonwp, Jürgen Stein, Urbain Ureel, Rob de Visser and Andreas Wörteler for their assistance in producing this feature.